There’s eight weeks left until 2013, and the holidays are fast-approaching. Don’t let them sneak up on you, though; start planning now! 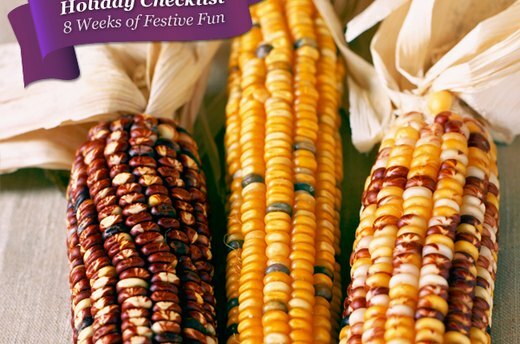 This week’s checklist is all about starting your Thanksgiving food shopping and getting the house decked out. 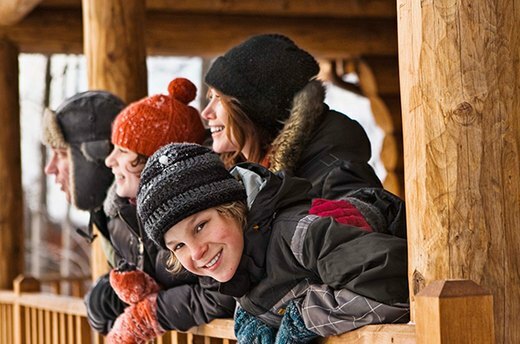 Throw in a few crafts to keep the kids busy and a thought about gifts and travel, and you’re on your way to a successful and stress-free holiday season. Hosting Thanksgiving for the First Time? If this is your first year as the official host of the big Turkey Day meal, you’re probably feeling the pressure to do it right. Take a deep breath and relax; you’ve got plenty of time to plan. Start by figuring out your guest list and menu, making sure to delegate dishes for each guest to contribute. 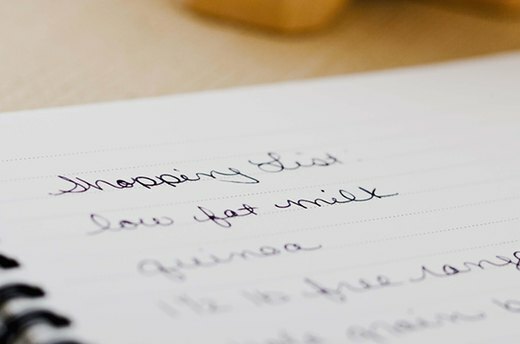 Then move onto other items, like the shopping list and seating chart. Hosting your family and friends can be a costly endeavor, especially if you’re a popular person! But you can shave a few dollars (and a lot of last-minute worry) off of the bill by making a shopping list and buying items in advance. Make sure you check what’s in your pantry before you visit the supermarket; you’ll be surprised to find that you already have some of the cooking essentials. Once you've figured out your guest list, you should be able to calculate the size of the turkey you'll need for Thanksgiving. Plan on one pound of meat per guest; if you have 20 guests, look for a 20-pound turkey. Decide if you want a frozen turkey or a fresh turkey. Fresh turkey will need to be ordered in advance, so call your local supermarket or butcher's shop to place an order. You can purchase a frozen turkey ahead of time to guarantee you get the preferred brand and size. 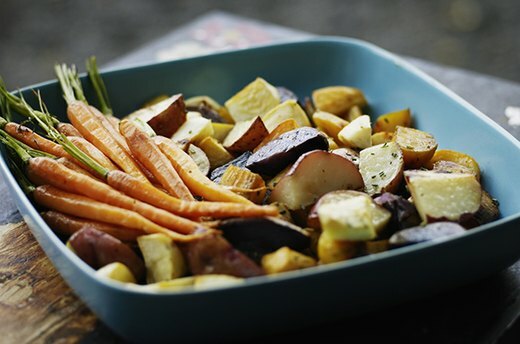 Your guests should be courteous and understanding, but no one wants to be remembered as the hostess who didn’t even have a vegetarian-friendly salad. This week, talk to your guests about their eating requirements and food allergies. Don’t fret about cooking a tofurkey; there are plenty of delicious meat-free, gluten-free and even dairy-free options and substitutions that can be served at Thanksgiving. The Halloween props have been put away, so now it’s time to shift your attention to Thanksgiving decor. 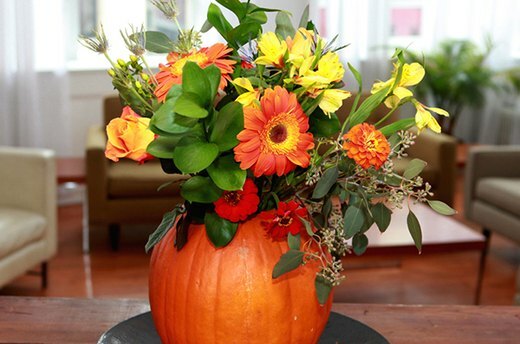 Pumpkins, squash and other gourds—whether real or fake—can make creative centerpieces and vases. Even the simple addition of ribbons in colors like burgundy and gold can transform everyday household items into decorative pieces: for example, consider tying a ribbon around a lamp for a subtle but festive touch. 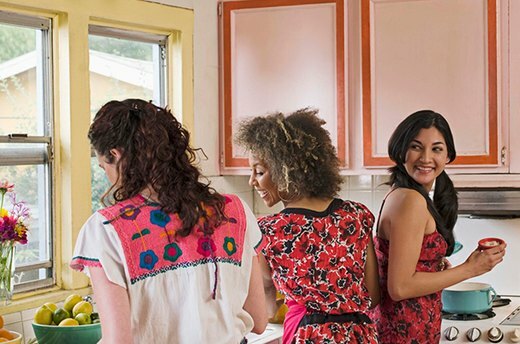 For some people, the most stressful part of the holidays isn’t cooking a big meal or buying gifts: it’s hosting overnight guests. If family members will be staying with you for one night or more around Thanksgiving, you can spruce up your guest room now. Anticipating their basic needs—from access to water cups to books on the nightstand—will make the stay more pleasant for all parties involved. If you’ll be hosting multiple guests back-to-back, you can also prepare your arsenal of clean linens and toiletries in advance to make a quick switch. 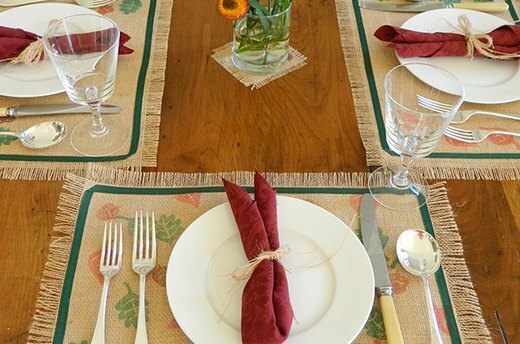 Since you’re well ahead of the game in terms of your Thanksgiving dinner, why not indulge in some fun craft time and personalize your own placemats for the occasion? Using foam and a small knife, you can create stamps from a template or your own design. If you've got kids, include them in the activity: they'll love inking the stamps in various colors to make each placemat unique. 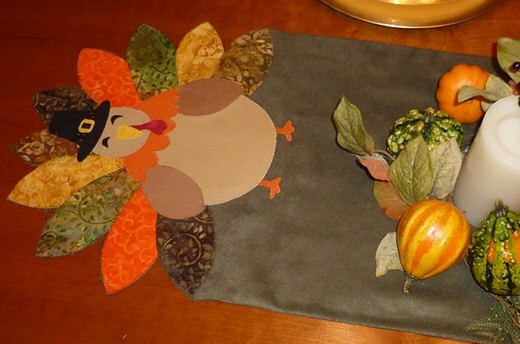 Another festive addition to your Thanksgiving dinner is a turkey table runner. Using our turkey template as a base, select your favorite fabrics to make vibrant, patterned feathers. You don't have to be an expert seamstress to make this adornment; just use fusible webbing and an iron. 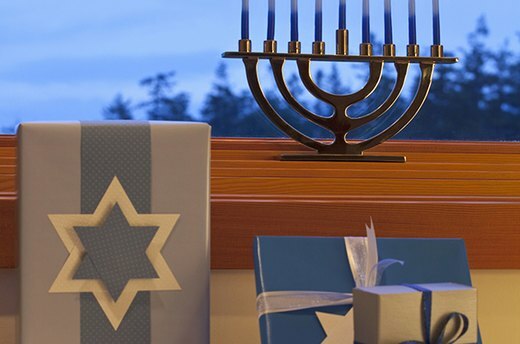 This year, Hanukkah begins at sunset on December 8 and ends on December 16. Finding gifts for eight nights might seem like a daunting task, but it doesn't have to be. Whether you choose to buy one staple gift and focus on homemade presents for the other nights, or you set a spending limit for each night, you can definitely find crowd-pleasers without emptying your wallet. For many families, the holiday season is a source of financial strain. Fortunately, there are organizations to help reduce this burden. The Angel Tree program and Toys for Tots collects gifts for underprivileged children, while other groups serve Thanksgiving and Christmas dinners for free. The key is to seek out these organizations early, as their resources often run out. Did you know that flights are usually the cheapest on Wednesdays? Consider that when booking your holiday travel. Also keep in mind that the longer you wait to book flights, hotels and cars, the scarcer they become. It's wise to figure out your plans as soon as possible, but try to be flexible: you might save money flying into a smaller airport, for example. If you're driving to your destination, fill up your gas tank before the weekend and use a credit card that will give you cash-back rewards.